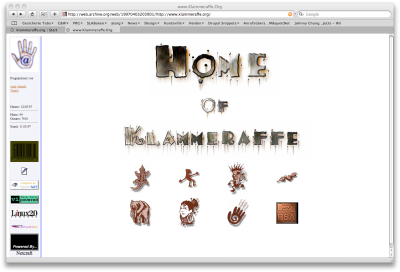 Welcome to the klammeraffe.org website! 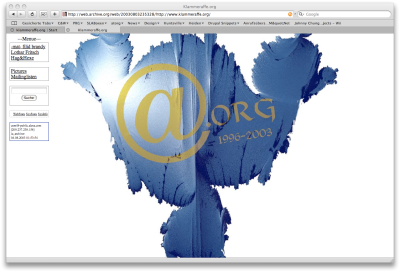 This site is live in the internet since 1993 for some of the content. 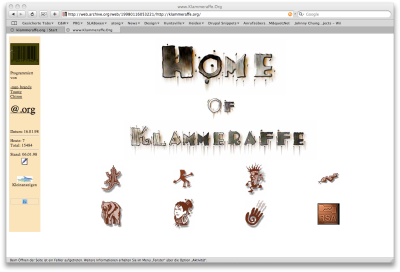 Since 1996 the content is reachable underneath the klammeraffe.org domain. 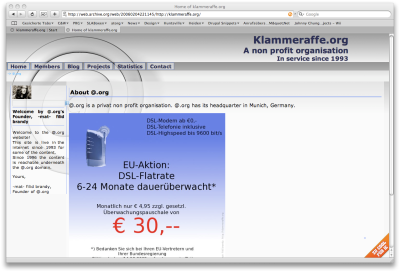 klammeraffe.org is a privat non profit organisation. 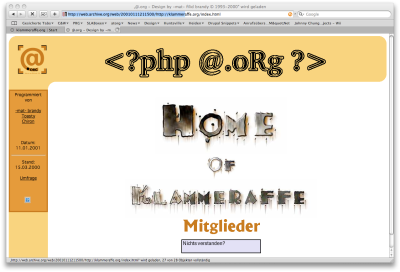 klammeraffe.org has its headquarter in Munich, Germany. 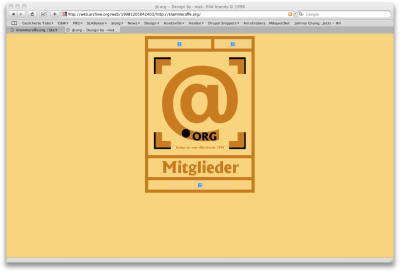 We are now also reachable via IPV6 (again). 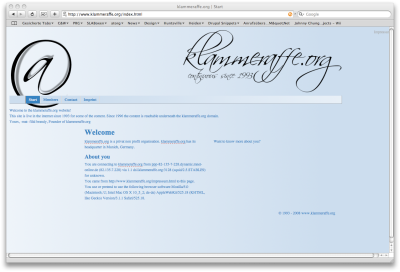 You are connecting to klammeraffe.org from 176-8-91-244.broadband.kyivstar.net (176.8.91.244) for 176.8.91.244, 127.0.0.1. You came from https://www.dan-invest.ru/ to this page. You use or pretend to use the following browser software Mozilla/4.0 (compatible; MSIE 6.0; Windows NT 5.1). Want to know more about you?